Growing up in the 1980s, I watched more than my fair share of CBS gameshows. One of my favorites at the time, Press Your Luck, regularly gave out “home robots” as prizes. The concept immediately caught my interest – after all, wouldn’t it be cool to have a robot butler clean everything up for you? Those early products, admittedly, were not as useful in reality as they were in my childhood dreams. But over the last decade, the automatic cleaning robot industry has really started to come into its own. There’s way more out there than just Roombas – you can now find bots to mop your floors, clean your showers, unclog your gutters and more. But don’t just take my word for it. 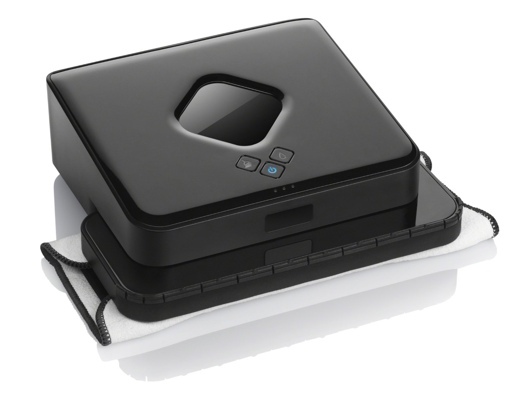 Take a look for yourself – here are five of the most useful robotic cleaners us here at Techlicious have seen recently. Robot vacuums are great if you have a lot of carpeting in your house. But if you have hardwood floors like I do, you’d be better of going with a hard-surface floor cleaner like the iRobot Braava 380t instead. It has both a wet mopping and dry mopping mode, and works with both microfiber cleaning cloths ($19.99 for a 3 pack) or the disposable type you can get at the supermarket. It’s approved for tile, vinyl, hardwood and laminate floors, and is great for families with shedding pets. On the tech side, the Braava’s internal NorthStar navigation system helps it keep track of where it’s been and where it needs to go. It can sneak under furniture, and has soft bumpers to keep it from doing damage if it happens to have a collision. Otherwise, it has sensors to keep it from careening down stairs, getting caught up in your area rug and is smart enough to follow walls and clean your baseboards, too. The 2,000 mAh battery recharges in the bot’s included cradle in two hours, it can dry clean for up to 4 hours on that charge and for up to 2.5 hours when wet mopping. If your space is small, consider the new Braava jet, a botvac designed for kitchens and bathrooms. It doesn't have the advanced features of the Braava 380t, but will keep any space up to 200 square feet clean for a a third of the price. The Braava 380t Floor Mopping Robot is available at Amazon.com for $299.99 and the Braava jet is available on iRobot.com for $199.99. No discussion of home robots would be complete without discussing a vacuum. 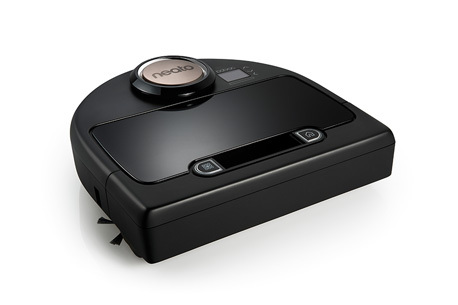 Here, we like the quiet, laser-guided Neato Botvac Connected over the Roomba. It features three high-performance filters, a side brush to clean near walls, a 2.96-cup-capacity bin (larger than the Roomba), and a simple magnetic boundary strip you can put anywhere you want to keep it away from. It cleans for about 1 hour on each 2-hour charge. CNET testing shows it to be especially skilled at picking up pet hair (even over the Roomba), so it’s a great cleaning tool for families with shedding pets. It works well on carpeting, but cleaning hardwood is where it really shines. The Neato Botvac Connected is available at Amazon for $699.99 and the Neato Botvac D Series is available at Amazon for $449.99. Gutter cleaning: It’s a hassle, it’s dangerous and it’s expensive to farm out the job to a professional year after year. For a more high-tech solution to this difficult task, check out the iRobot Looj 330 gutter cleaning robot. It has a high-velocity, four-stage auger to chew through and remove the toughest of wet leaf clogs, restoring your gutters’ proper function. 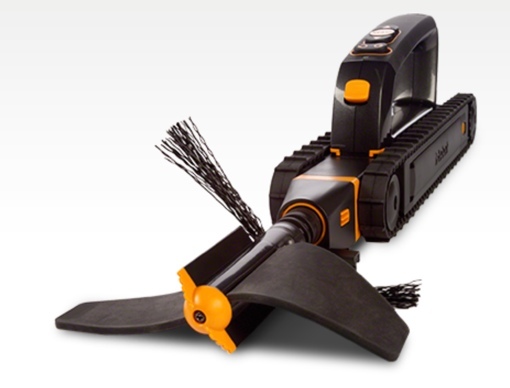 It can clean a 30-foot section of gutter in about 5 minutes, and cleans up to 200 linear feet on a single charge. It’s still up to you to get out a ladder to place the Looj in your gutters. Still, the Looj is safer than traditional cleaning methods, because you use the included remote control to clean out an entire linear stretch of gutters, or you can just set it on automatic pilot. There’s even a belt clip, so you don’t need to hold the device on your way up the ladder. Cleanup is easy – just spray it down with a hose once the job is done. The iRobot Looj is available on Amazon.com for $199.99. Cleaning up after pets is one of the least desirable of tasks around the house. 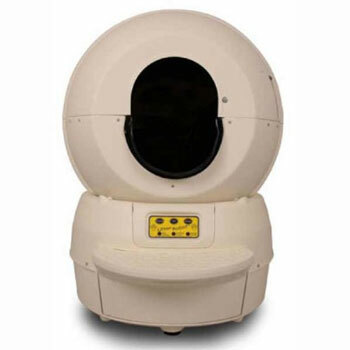 But with the Litter Robot LRII Automatic Self-Cleaning Litter Box, it doesn’t have to be. When your cat enters the private globe litter chamber, it starts a 7-minute timer. Once the timer is up, a cleaning cycle begins. Rather than use a traditional rake, the Litter Robot instead rotates itself, sifting out clumps and depositing them into a drawer you line with a standard kitchen garbage bag. It works great with traditional litters and natural alternatives alike. You can find the Litter Robot LRII Automatic Self-Cleaning Litter Box at Amazon.com for $349.00. There are a lot of great products out there for keeping your shower clean, but it can be tough to remember to spray on the regular schedule many call for. For this, check out the battery-powered Scrubbing Bubbles Automatic Shower Cleaner. It’s a simple product – just press a button, and after a short delay the device will spray a cleaning solution that combats mold, mildew and soap scum. The only catch here is that many report the device suffers from moisture issues, and seldom lasts longer than a year or two before breaking. 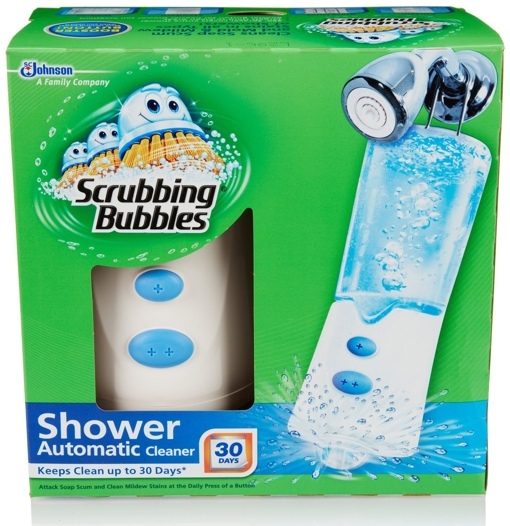 Thankfully, the Scrubbing Bubble Automatic Shower Cleaner Starter Kit only costs $17.87 on Amazon.com and includes 34 ounces of cleaning solution. My house has hard wood floor so I’m considering to buy a mopping robot. Thanks for review!